Exclusive: Samuel Johnson's full, complete Gold Logie Speech. 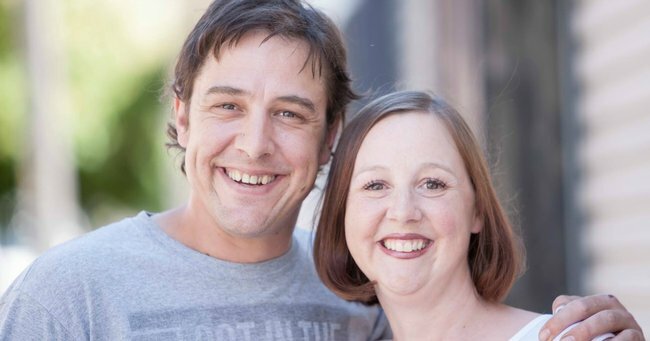 EXCLUSIVE: Here's the Gold Logie speech Samuel Johnson never got a chance to deliver. When Samuel Johnson won the 2017 TV Week Gold Logie, his touching speech was interrupted by Molly Meldrum. When Mia Freedman interviewed him for this week’s exclusive episode of No Filter (you can listen here), we convinced him that people still wanted to hear what he was planning to say on stage the night when he won. After much persuasion – “the moment has passed, nobody cares”- we got him to agree to allow us to publish it in full, because we believe the things he wanted to say need to be shared. My family is all based out of a house in Preston. Amongst ourselves we call it the Prestonian Institute for the Temporarily Defeated. Not tonight. For the last few weeks, I’ve been insisting, most facetiously, that my family call me ‘Your Royal Logieness’. I was lapping it up before the seemingly inevitable crushing loss. Now, as I stand atop this country’s highest commercial peak, I think it only fair that my title as ‘Your Royal Logieness’ continue, in perpetuity, at the Prestonian Institute for the Temporarily Defeated. Clearly, I’ll never have a better case for changing my nickname, which for the last few years, amongst my family, has been ‘Uncle Redundant’. Perhaps not tonight. Samuel Johnson. Image via Channel 9 social. I was a very spirited, very confused kid with a colourful background and a fairly savage excess of energy. My dad always saw me dying from too much gusto, somehow. I was an outlier of sorts, desperate quest to find my place in this world, and I found my home here in the arts, a place that celebrated difference, a place that encouraged me to be truthful, to work harder, to pursue excellence. I did none of that of course, which is partly why I’m so thankful. I’d like to thank you, for giving me such wondrous shelter over the last 23 years. I feel indebted. It’s at least somewhat incongruous that I’m up here, given that I’ve not been a regular fixture on our screens as have the other nominees. No actor from a one off TV event, or from a telemovie, has ever been nominated for Gold, let alone taken home the bacon. Listen to Samuel Johnson talk about the moment that changed his life on No Filter. It’s a Logies first, according to my Googlage, that can can be partly explained by the sheer popularity of the Molly telemovie. It is also partly explained by the national affection we share for one of our most iconic-est, in Ian Meldrum, but there’s another factor which I should come clean on. Facebook has apparently been helping to swing voting results lately. It should be noted that I am the co-founder of an active, committed, now near 400,000-strong Facebook village, called Love Your Sister. I’m sure there’s many reasons why a record number of people voted for the Logies this year, you could argue it’s because commercial television has never been more relevant and popular, but equally you could argue it has something to do with our gang of ratbags wanting nothing more than to see their snotty little brother get up here and have a crack. As much as I should dedicate this golden beauty to my sisters Connie and Hilde, for being such awesome boneheads, or to Molly for backing me in, I think it’s only right that I dedicate this instead, to each and every good egg that has gathered around our family over the last several years. You’re all lunatics, and I love you and you have my thanks for giving me a place where I don’t have to be other people. Where I don’t have to put my smile on if I don’t want to. A place where we write our own script and tell our own stories. This puppy can’t be for anyone but you guys. My dreams have been realised here tonight, and I only hope, without wanting to be greedy, that in just 17 days, my sisters dreams can be realised too, and that she can build that million dollar heart to match her million dollar heart. Loveyoursister.org if you wanna help us with the whole kicking cancer in the face-hole thing. Samuel also had a special thanks to go out to the community that put him on that stage. About a year ago, Love Your Sister was in a different place. We&apos;re were dying fast, basically. Once my unicycling odyssey was complete, I took on three acting projects back to back. A six part doco on Hipsters for SBS, a touring production with my theatre company and a Molly Meldrum telemovie. During all this I still pounded the pavement at community fundraisers every weekend and did as much as possible in between (including writing our book with Con), but the fundraising was tanking and we were cactus without a significant turnaround. Too many failed campaigns in a row. Too many hours playing pretend on telly. To be a chance, something had to give. I felt retirement offered the only solution. I have a full understanding of what it takes to raise a single mill and the $10M wasn&apos;t going to raise itself. It was all in or fold. It was a no brainer that required no thought. Just one clear path. I rang Connie in despair. I challenged her to start exploiting her profile. She was a very well known cancer advocate with a huge support base and she was doing wonderful things in advocacy and science, but the fact remained that we needed cash to both survive and reach our fundraising target. She rang me the next morning and pitched her idea. Before she had even gotten half way through, I knew she had it. It was perfect. I couldn&apos;t offer any improvements, which I&apos;m always on the lookout for. It was beautiful. Quirky. Simple. The ask was tiny. It would market itself and had all the hooks the media require. I told Connie it was simply flawless and proudly labelled her a serial genius. So began what is now Connie&apos;s Big Heart Project. I pitched it to our mates at Questacon (a science and tech centre in Canberra run by the Dept Of Innovation and Science). 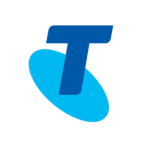 They had contacts at The Royal Australian Mint, so we went together and pitched it successfully. Bendigo Bank loved it and jumped on board. It was the most seamless team-build I&apos;ve ever experienced. Why? Because Connie&apos;s epic masterplan was truly sublime. This isn&apos;t just a fundraising campaign. This isn&apos;t just a chance for the villagers to say goodbye to Connie. This isn&apos;t just her way of saying thanks to all who choose to care about the cancer conundrum. Connie built this village with a unicycle then she saved it with a five cent piece. But all of this is nought without you. Without you we have no heart. No village. No millions towards a cure. I hope this helps explain just why you have my heartmost thanks for helping my sister find joy and hope during the most trying of circumstances. I&apos;m indebted and very truly yours. 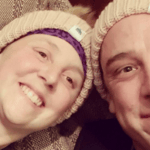 On May 10, in two days time, as part of her &apos;last hurrah&apos;, as she puts it, Connie will attempt to break an unofficial world record to raise money and awareness of the important of the early detection of all types of cancer. And don&apos;t forget to leave your name. You could even go to the website and buy one of their hilarious swear jars or something else from their marketplace. More information can be found on the Love Your Sister Facebook page. And don&apos;t forget to spread the word. With just a few days to go, make sure you tell everyone!